Los Angeles-based XYZ Films has taken on the black comedy ‘The Belly of the Whale’ directed by Morgan Bushe and will now represent North American sales for the film. XYZ Films slate includes international indie hits such as ‘The Young Offenders’, Sundance Grand Jury Prize winner ‘I Don't Feel at Home in this World Anymore’ and TIFF People's Choice Award Winner ‘The Raid’. They are now handling North American sales of ‘The Belly of the Whale’ at the current Cannes Film Festival. The film will be released in Irish cinemas by Wildcard Distribution later this year. "We're delighted that ‘The Belly of the Whale’ has found a home with XYZ for North America and which we'll now build on further during Cannes. We're big admirers of the work that they've championed in the past so it's a real boost as we start the next steps of finding the right international and Irish film festival to help launch the film in advance of its theatrical release in Ireland later this year." 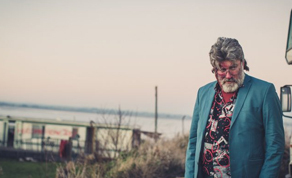 The film stars Pat Shortt (‘Garage’, ‘Calvary’) together with Lewis MacDougall (‘A Monster Calls’, ‘Pan’), Art Parkinson (‘Kubo and The Two Strings’, ‘San Andreas’), Michael Smiley (‘Kill List’, ‘Jawbone’), Peter Coonan (‘Love/Hate’, ‘The Drummer and the Keeper’) and Lauren Kinsella (‘You’re Ugly Too’, ‘Albert Nobbs’). Set over a long bank holiday weekend, misfit teenager, Joey Moody, returns to his home town in a foolhardy bid to reopen his family's crumbling caravan park and salvage his friendship with his best friend and drinking partner, Lanks. Meanwhile, on a mission to find the money to cover his wife's medical expenses, Ronald Tanner, a fractured soul, risks his meagre life savings on a get rich quick scheme that ends in abject failure and humiliation at the hands of local big shot Gits Hegarty, pushing Ronald over the edge and off the wagon. After Joey accidentally burns down Ronald's camper van and is forced to find the cash to repay him, the strange pair find themselves bonded together in misfortune. In an effort to change their shabby circumstances they concoct a plan to rob the Pleasurama, the local amusement arcade, and the domain of the iniquitous Gits. ‘The Belly of the Whale’ was produced by Rory Dungan for Fastnet Films and Tilted Pictures with funding from Irish Film Board / Bord Scannáin na hÉireann, RTE, BAI, Filmbase and Windmill Lane VFX.